May 28th, 2013 | News and Events, Wheaton World Wide Moving. 15. Plan to move appliances. Some of your big appliances – refrigerators, washers, dryers, and others – need special moving considerations. Many need to be serviced and disconnected prior to your moving day. Wheaton World Wide Moving has compiled a helpful planning guide to ensure that all of your appliances will be ready for your big day. You should turn your refrigerator off 48 hours prior to moving. Also, opening the door is a good idea to avoid unwanted smells. Make sure to either secure or detach the shelves and tape the electric cord to the back of the appliance. It might be helpful to clean the fridge as well. Your freezer will need to be completely defrosted and cleaned prior to moving. If you have an icemaker, make sure that it’s disconnected and drained as well. It’s also a good idea to eat all the food in your freezer prior to a move – it won’t transport well. You may need to hire a third-party service to help you disconnect your dishwasher from the water line. Additionally, you’ll want to ensure that the appliance is unplugged and that it’s completely dried out. Open the door to help that process. This is another appliance that might benefit from the service of a third-party provider, especially if it’s gas-powered. The oven should be be disconnected and unplugged from the wall and all removable parts should be stowed elsewhere to avoid damage. All parts of the oven should be cleaned prior to the move as well. The washing machine should be disconnected from the water line. 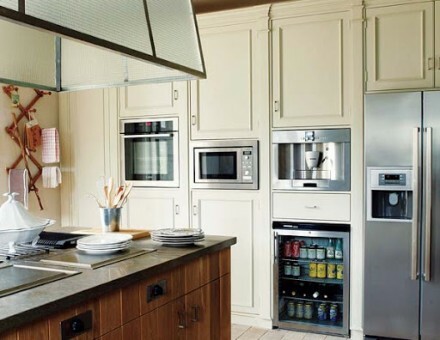 The appliance also needs to be completely drained, no matter what time of year your move occurs. Also, be sure to secure the electrical cord and washer drum. Leave the lid open so any remaining moisture will dry. Just like the oven or dishwasher, a third-party service provider could be helpful, especially if it’s gas-powered. You can be sure to disconnect the dryer and remove the vent hose prior to the move. Do you have any other ideas for moving appliances? It can be tricky, and I’d love to hear your feedback! .